AUTHORIZATION module is a database that supports licensing process from time of license application until removal from service. It is used to record, process and maintain any type of regulatory authorization including a license, approval, permit, etc. 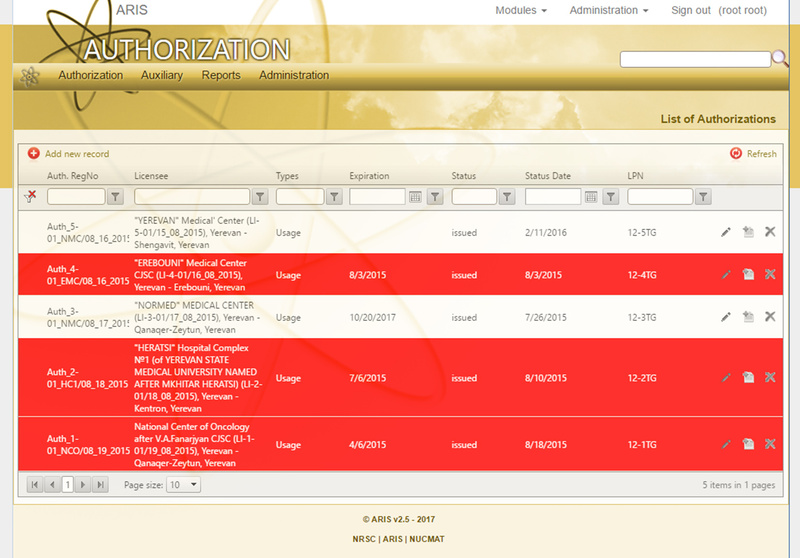 The basic data about individual authorization includes a link to facility data in LICENSEE module. Full text of relevant regulatory documents (e.g. application, assessments, expertise, and license conditions) could be attached to the record and kept in database. The module contains versatile search function and reporting system.